The MOGP team gives the thumbs up for their 14-year streak of No Harm and No Leaks. 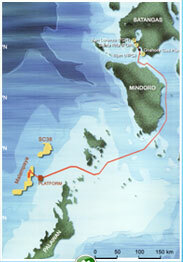 The Malampaya Onshore Gas Plant (MOGP) in Batangas has another feather to add to its already-impressive cap. Keeping its impeccable record of “No Harm and No Leaks,” the MOGP team celebrated 14 years of Goal Zero last September 28. “The desire of every worker to go home to his waiting family safe and well is one of the many factors that contributed to this achievement,” said Carlito Magbuhat, operations team leader at MOGP. The accomplishment comes in a period where Malampaya operator Shell Philippines Exploration B.V. (SPEX) completed two historical milestones in the history of the pioneering natural gas project: the construction of the first oil and gas platform in the country and the delivery of the most complex turnaround to date. 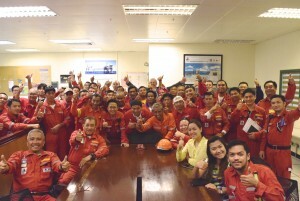 MOGP conducted a full year of fabric maintenance, Passive Fire Protection for the gas export pipeline, and day-to-day operations and maintenance. The team was met by minor challenges, but presence of mind and a deep regard for safety helped them surpass every task.